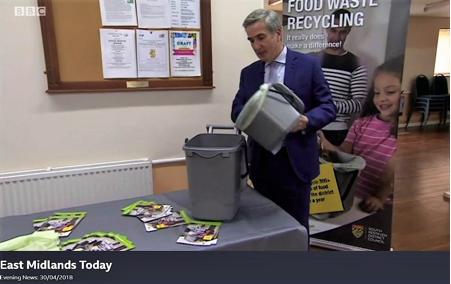 The South Kesteven food waste recycling trial has captured the imagination of the media and the public alike, with coverage on regional BBC news and local radio. 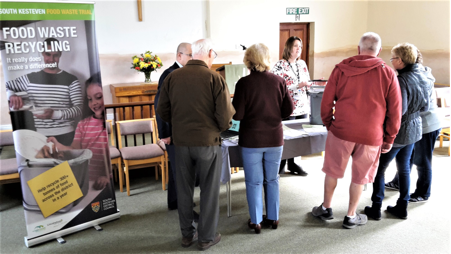 We have also held well-attended information sessions at venues around the district for householders involved in the year-long trial, which covers 4,700 homes. The area includes Grantham, Stamford, Bourne, The Deepings and several villages on the same collection round, which will be served by a special bin lorry to ensure the different kinds of waste are not mixed. BBC reporter Quentin Rayner visited our Rippingale drop-in, and also interviewed Cllr Helen Goral, Cabinet Member for Communications and Engagement outside our St Peter's Hill offices in Grantham. 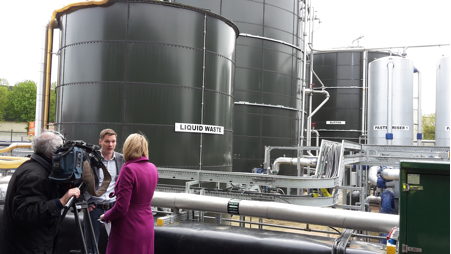 Meanwhile Look North reporter Gemma Dawson visited Hemswell Biogas, where your food waste will be turned into electricity and fertiliser. 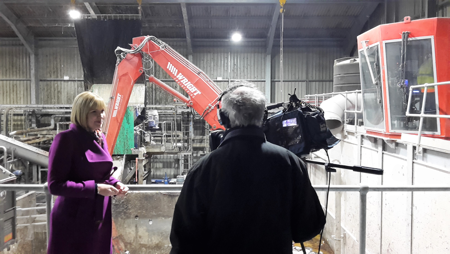 She interviewed Lee Dobinson, from the company which runs the plant. 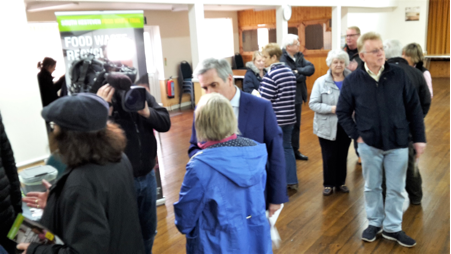 Here are some images from the Rippingale drop-in. 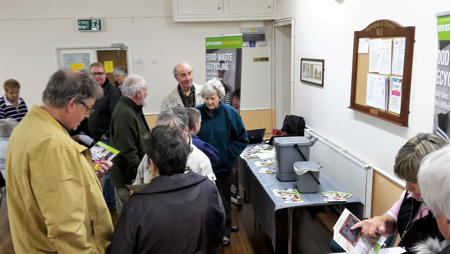 We also helped residents in Long Bennington and Foston find out more about the trial. 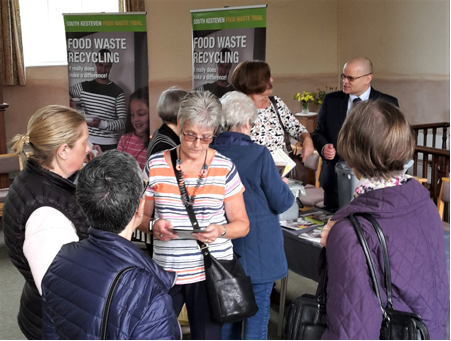 If you have read the information on these pages and have any questions which aren't answered, please email foodwaste@southkesteven.gov.uk and we'll try to help.